Foot, ankle and knee surgery including bunions, hammer and mallet toes, mortons neuromae, osteoarthritis, flat foot, tendon injuries, plantar fasciitis, trauma, sports injuries, degenerative changes, knee and ankle arthroscopy, and total knee or ankle joint replacement surgery. 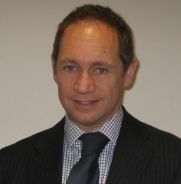 Mr Watson is a fully UK trained Orthopaedic Surgeon. Prior to going to medical school at St Bartholomew’s Hospital, he graduated from King’s College as a Pharmacist. He completed his medical training with honours at Bart’s in 1995 and ultimately undertook his orthopaedic surgical training at The Royal London Hospital. He has been a consultant at the Princess Alexandra Hospital since 2006 and has developed a large foot and ankle practice as well as managing tauma. Mr Watson has completed three fellowships – a Foot and Ankle Fellowship alongside Mr Lloyd Williams in London, and two Hip and Knee Arthroplasty (joint replacement) Fellowships in Sydney. Mr Watson has many peer reviewed publications he teaches on, attends courses regularly and keeps in touch with the latest developments in his field. Outside work, Mr Watson is married to a Consultant Paediatric Orthopaedic Surgeon and has a young family. They are keen runners, scuba divers and ski/snowboarders.